Mrs Smith and her amazing children have had a fantastic book day together. 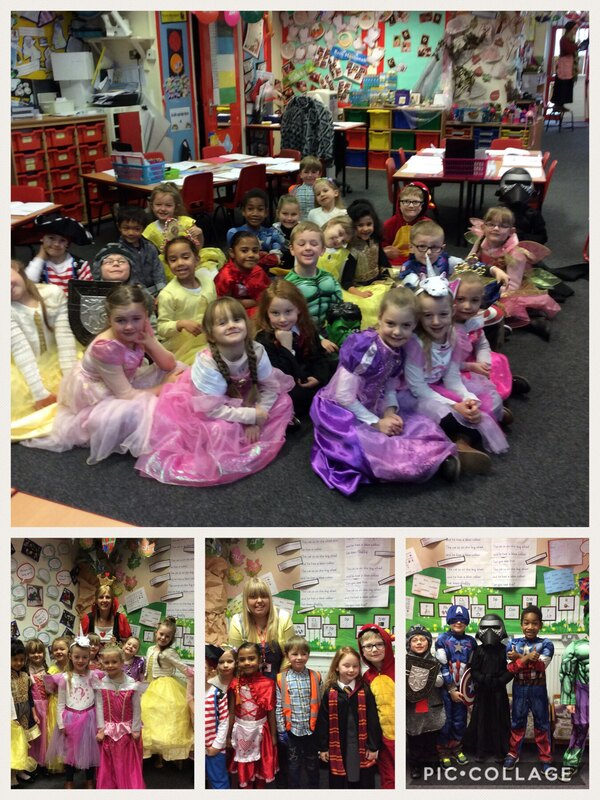 All the children’s outfits have been wonderful; from princesses to superheroes, pirates to nursery rhyme characters! Thank you so much for all our superb home support, especially on such a snowy day! This entry was posted in Year 1 and tagged Celebrations, English on March 1, 2018 by Sandford Hill. Your costumes really did look fabulous children. I’m sure that driving home tonight I have seen one or two Olaf’s from ‘Frozen’…… !